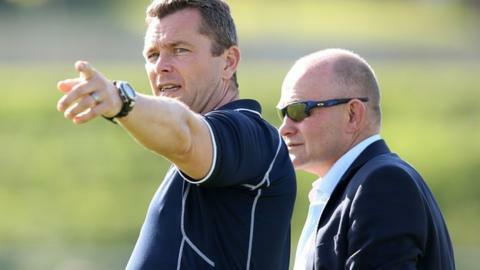 Bristol first-team coach Sean Holley has signed a new contract with the Championship high-flyers. The Ashton Gate side have not announced the length of the new deal for the 44-year-old former Ospreys coach, who has been at the club since 2013. "I feel we're on a journey and we have unfinished business here," Holley told the club website. "When I arrived here, I talked about my ambition to coach Bristol in the top flight. That hasn't changed."